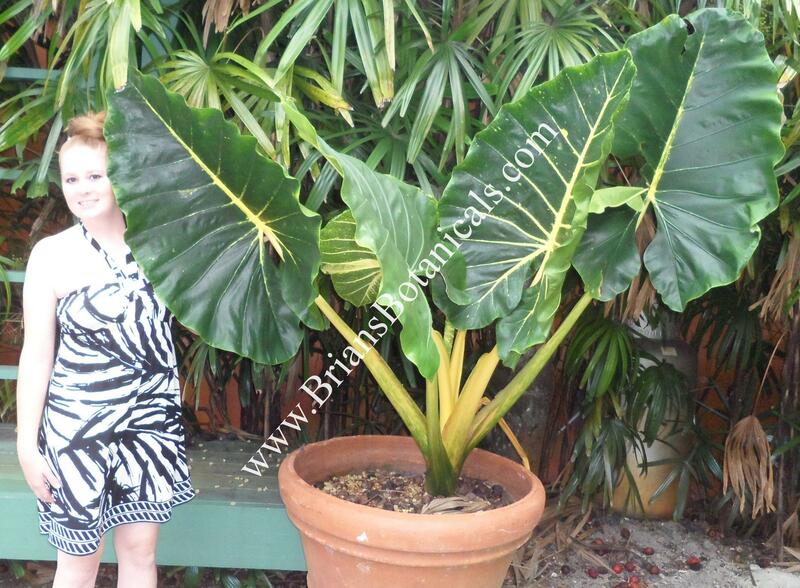 Alocasia New Guinea Gold is a form of Macrorrhiza and has dark green foliage with yellow to pinkish petioles. For no known reason the plant will turn almost completely yellow for a few months and then go back to normal in an odd cycle of variegation. It is this reason this plant has been misidentified and misunderstood for so many years. A great variegated plant with a very unique personality. Plants can grow 6 to 8 feet tall and foliage will turn yellow as the plant feels compelled to do so. It is an oddity in the Alocasia and Aroid world. The plants offered are in 4 to 4 1/2 inch pots. Species/Hybridizer A clone or mutation of a species.